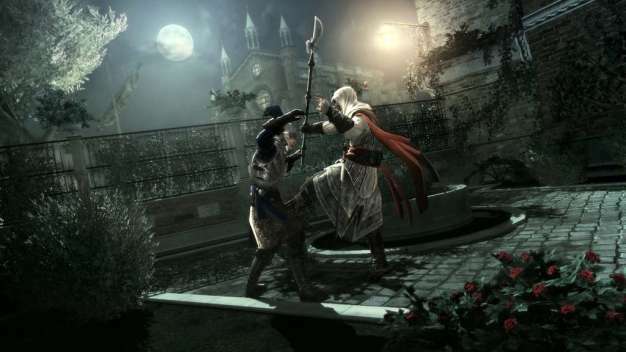 According to Ubisoft’s internal estimates, Assassin’s Creed II‘s opening week was a good one. The game has sold 1.6 million copies worldwide since its November 17 launch, the company has announced today, a number that represents a 32% increase over its two-year-old predecessor. The news comes after yesterday’s data from the UK where the game managed to outsell the first game by a 12% margin, debuting at number two on the weekly sales charts, on the heels of Modern Warfare 2.